An interesting module to add more color to your sounds. The input signal triggers the 4024 binary counter whenever the signal crosses zero. Therefore you can use nearly any input signal not only squares. 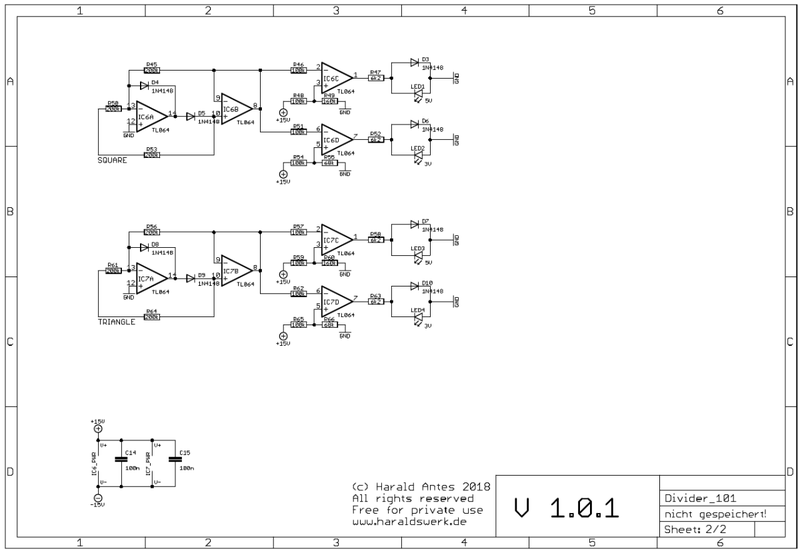 The outputs of the 4024 is are added together in two ways. One weighted the other with equal values. The weighted output gives you a more triangle shaped output. 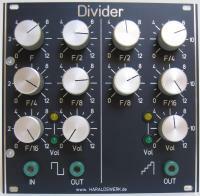 You can add lots of harmonics in widely adjustable different combinations. 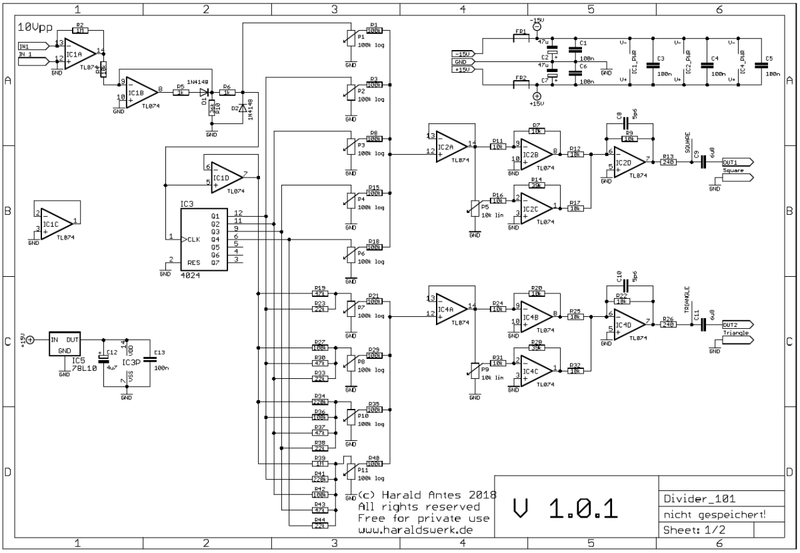 On every zero crossing the input signal triggers the binary counter 4024. The outputs of the counter are adjustable added together weighted and unweighted and the two signals are brought out.